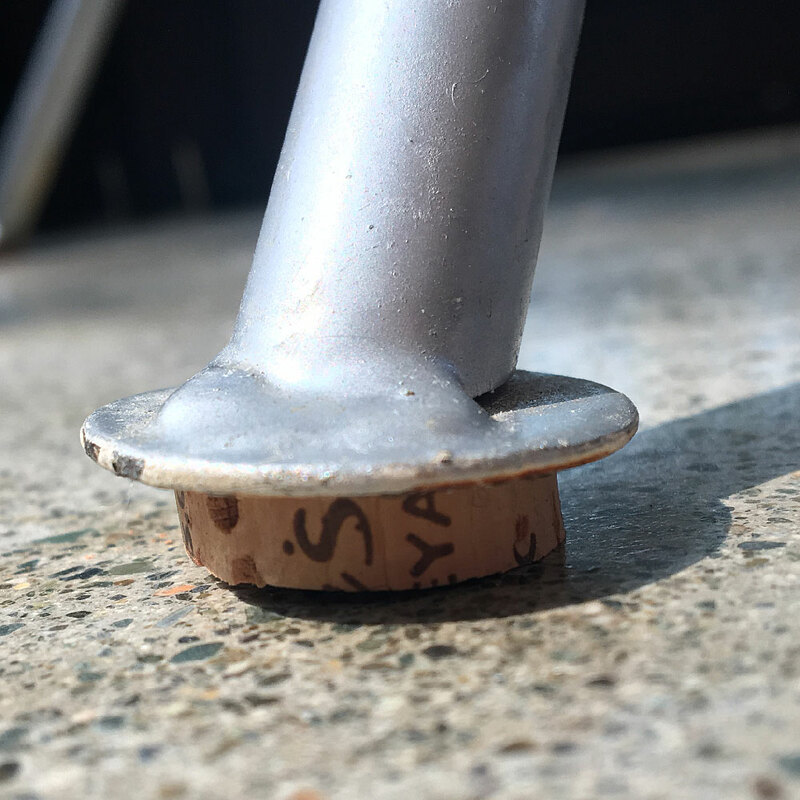 Wine Cork Life Hack - Put a Cork In It. You know those felt glides on the bottom of your chair and table legs that always fall off? Here’s the permanent fix for that problem. 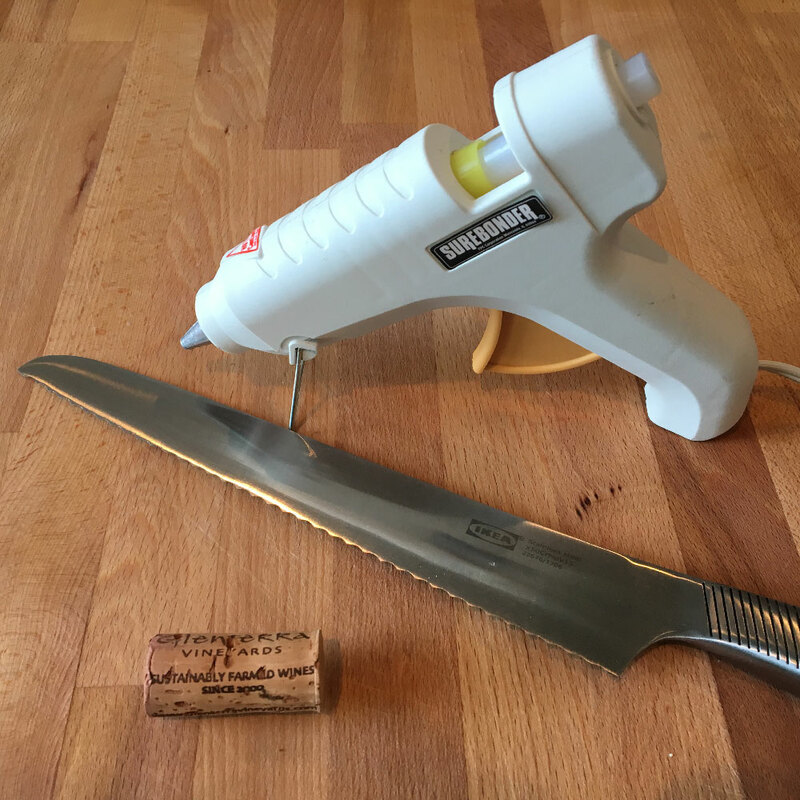 You’ll need a hot glue gun, a natural wine cork and a sharp knife. I like to use a serrated bread knife, but any sharp kitchen knife will do. 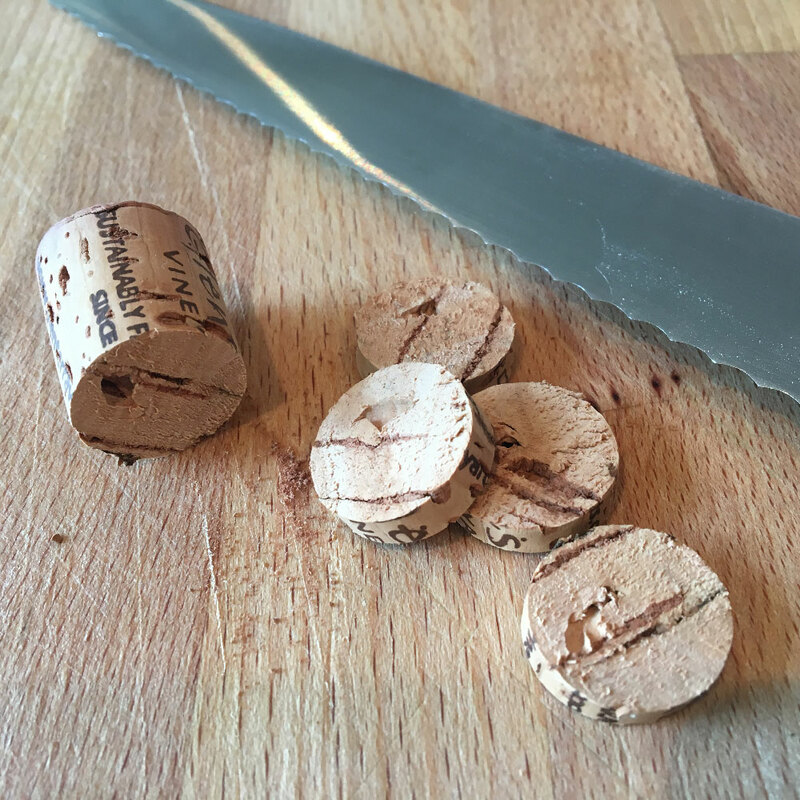 Start by slicing your wine cork into discs about 5-6mm (1/4″) thick. 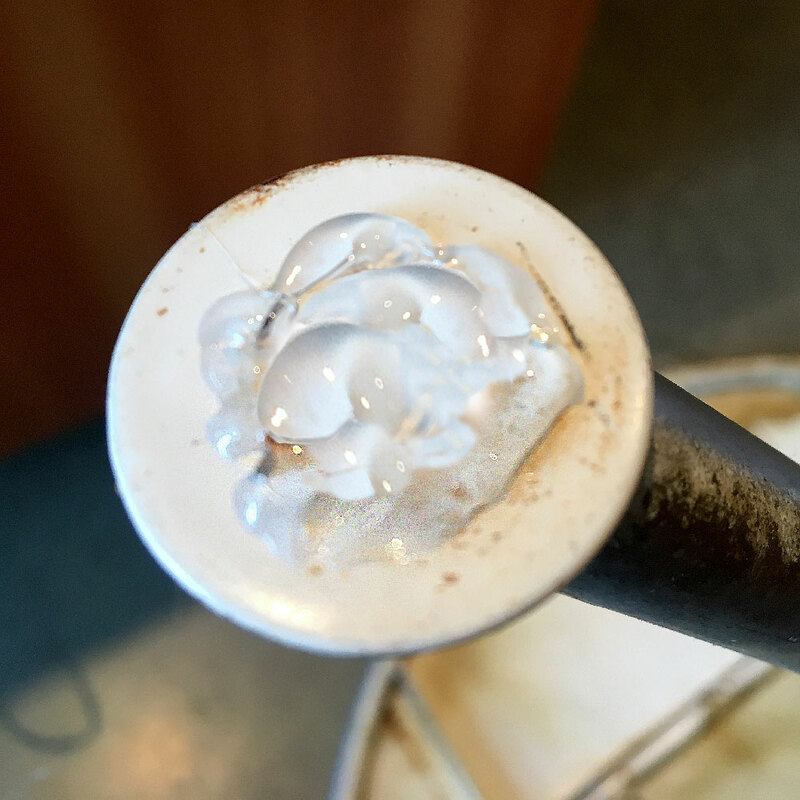 First scrape off all the old adhesive from the felt glides you’ve removed and cover the bottom of your chair or table leg with a blob of hot glue. It’s important to apply the hot glue to a clean surface. 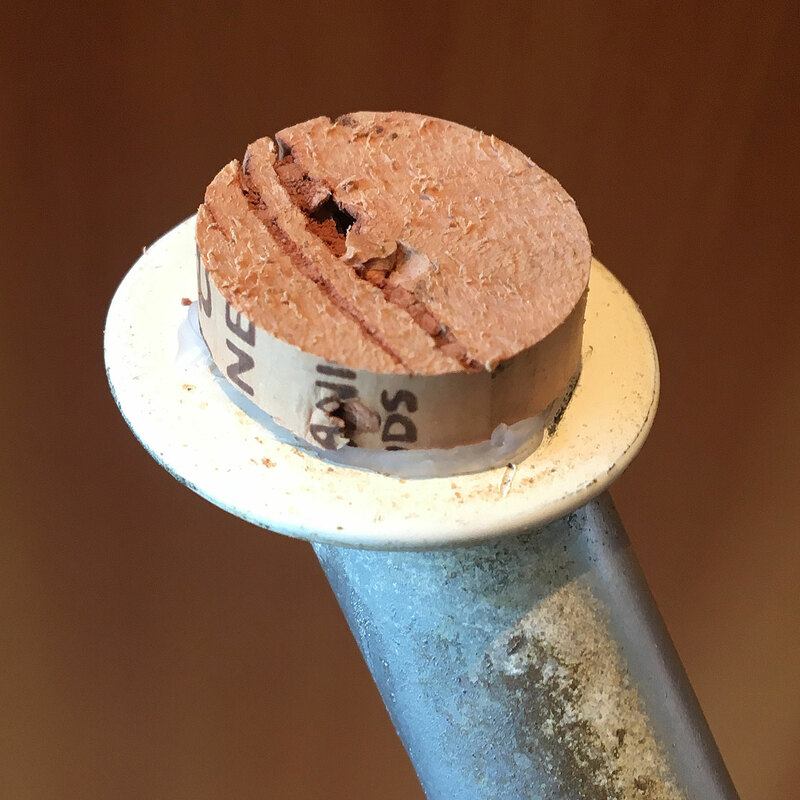 Then press one of the cork discs you cut earlier into the blob of hot glue and let it cool and set. Repeat this process for all the legs on your table or chair and stand it upright. That’s it. 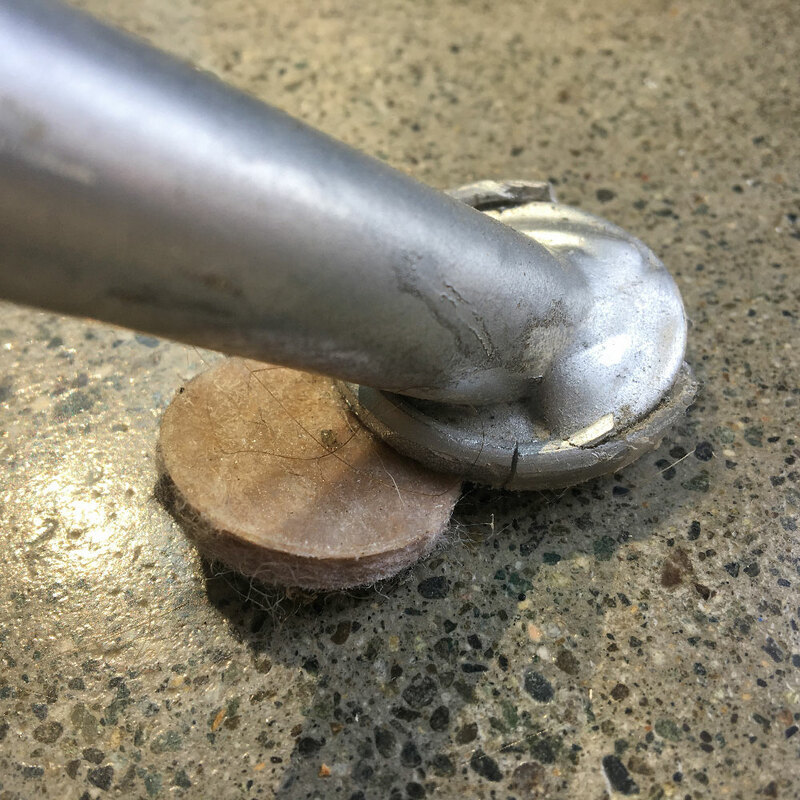 This great little life hack is a permanent solution to those self-adhesive felt glides that always fall off. Got larger diameter legs to deal with? Try slicing up the fat end of Champagne corks.